I’m going to start this one with a bold statement. Of all the things that I may create, this is my husband’s favorite. Granted he has his favorite cookies, or breakfast food or whatever! But beyond all of that, this seems to eclipse them all. So, I thought it good enough to share. Like many of my recipes, this one is merged with quite a few different recipes. Preheat the oven to 350. You’ll drop the temperature to 325 once the muffins are in the oven. Set butter out to soften. 30-40 minutes should suffice. Careful to not let it “melt” at room temperature (see post about cookie tips). The butter will come up in temperature when it’s getting beaten. Mix dry ingredients. Beat butter until fluffy, might not look that impressive since it doesn’t have that much butter. Add brown sugar, I like the flavor of the dark brown sugar but light will do too. Add eggs until fully incorporated. Make sure to stop and scrape the sides of the bowl. Add in flour in thirds, it lessens the flour from flying out of the bowl. Alternate the flour additions with the milk. Add in your vanilla (it seems like a lot… it was an accidental discovery that kind of tricks the mind into thinking it tastes sweeter than the amount of sugar would do). Add in your zest, make sure it’s clumped together anywhere. Fold in your blueberries. Drop your muffin batter into a lined muffin tin. I normally use my ice cream scoop because it’s easy or some times two spoons. Fill to almost the top, not quite full. Bake at 325 (drop from 350 that the preheat was) for 24-28 minutes. 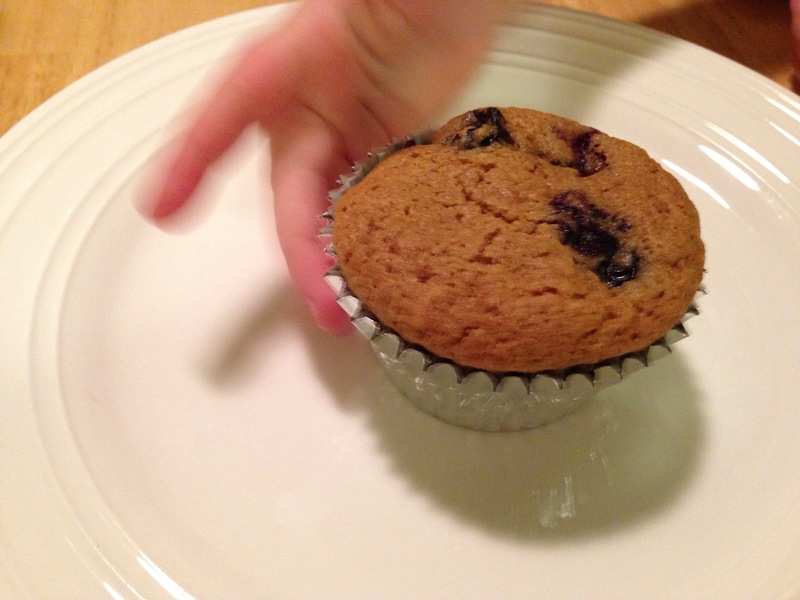 Remove when the muffin is springy to the touch. Let cool for about minutes and enjoy!